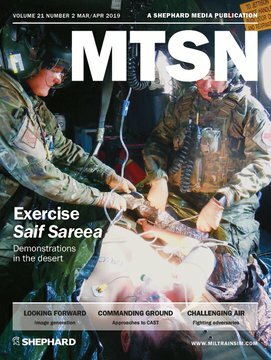 MTSN (Military Training & Simulation News) is the only magazine dedicated to military training and simulation, covering the latest developments in technologies and requirements globally. MTSN, alongside the Military Training & Simulation Handbook, informs, analyses and provides the facts that you need. The publication is read by military officers/SNCOs, procurement officials, operational requirements staff, relevant government organisations, academia and industry leaders, and has a print/digital readership of over 40,000.